Autonomous delivery robots have been in the press a lot lately popping up in places like hotels and restaurants. One company wants to deploy them in office buildings and have the bots deliver food straight to your desk while you are stuck at work. 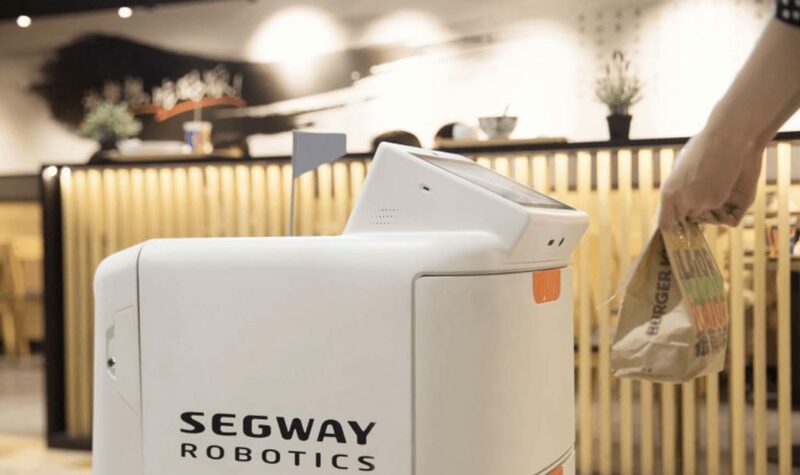 Segway Robotics has recently launched an autonomous delivery robot in the Chaoyang district of Beijing. If delivering lunch wasn’t enough, the robot will even keep the food hot or cold while it’s on the way. 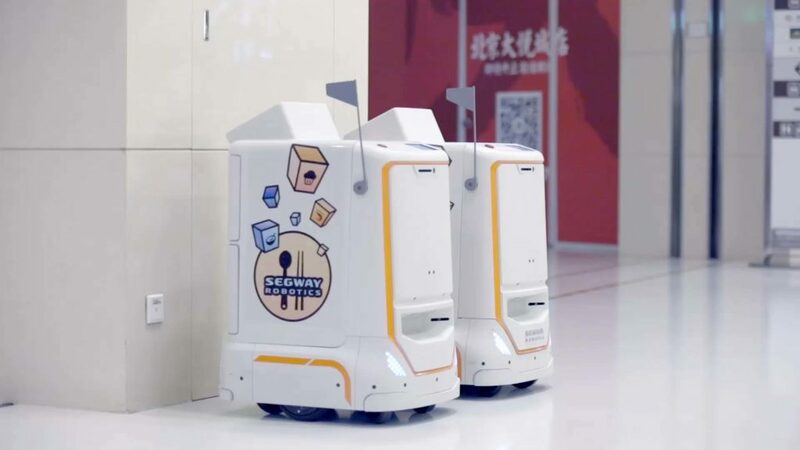 Its called the Loomo delivery robot and the company has partnered with Meituan-Dianping, China’s largest on-demand service provider in hopes to get their robots in more buildings across China. We’ve reported on a few impressive delivery robots but the Loomo really stands out. It has replaceable containers and can carry up to 110 pounds. Traveling up to 3 mph, the robot can work for about 8 hours before it autonomously returns to its charging station. Onboard sensors and visual recognition intelligence help the robot navigate the busiest of office buildings avoiding people and obstacles that may get in the way. If connected to the building’s computer system, it can even control the elevators. Once the robot reaches it’s intended destination, an office worker simply types their phone number into the touchscreen and out pops their lunch. The Loomo then continues on its way until it makes all of its deliveries. The robot is connected to a cloud platform which performs dynamic scheduling and real-time monitoring. According to the company, this eliminates the need for manual maintenance. So far results have been positive. The robots have been delivering the food quickly and efficiently. They are also helping to keep the buildings clean as there has been less clutter of delivery men. The robot is currently working only indoors, but Segway plans to soon extend their use to outdoor areas. 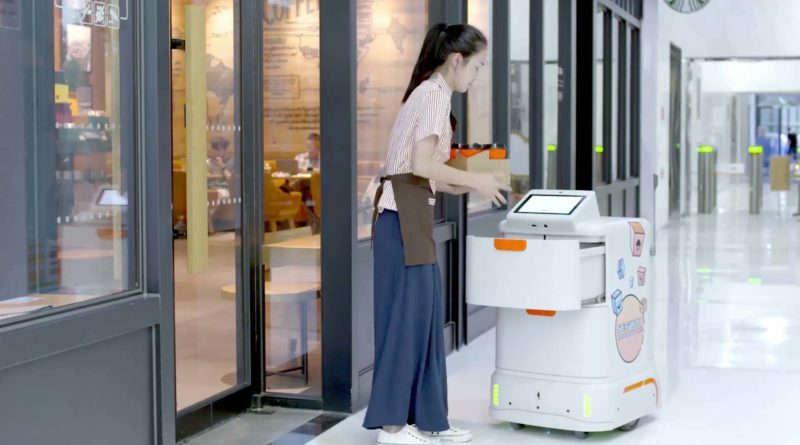 Along with being deployed in more office buildings worldwide, the company hopes the Loomo delivery robot can be utilized in places like malls, neighborhoods and college campuses. 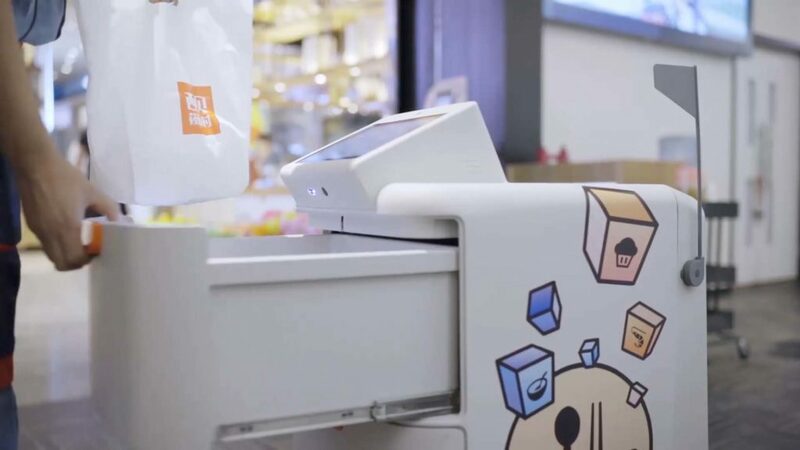 Check out our articles on Alibaba’s robots working in hotels and ones that could work in Amazon’s warehouses.